I’ve been loving Steam the Hunt and having participated in a few of them previously I’ve certainly not been disappointed this time around. This picture is taken in front of a Tesla Turbine inside one of the fantastic display steampunk flying contraptions at Steampunk the sim. 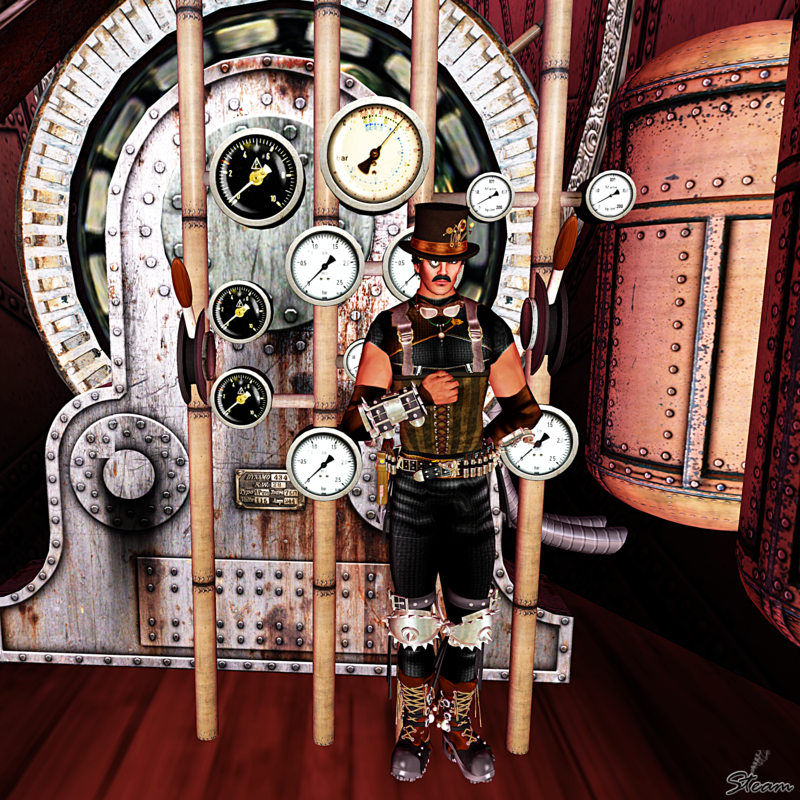 With an inworld name of Steam Engineer, it would come as no surprise I love Steampunk. The Steam5 hunt blog can be found here and it runs until the end of the month. As always please do note the items featured were available at the time of writing at no cost or the cost indicated , but no warranty is given that they will continue to be so – that is totally at the discretion of the Store Owner/Designer.